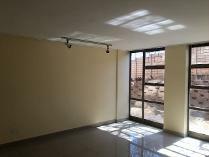 Newly built, secure and spacious 2 bedroom apartment to rent, in johannesburg. This modern, 1st floor unit is available immediately. The units has a large and ultra modern kitchen, complete with a sectioned off scullery area that is spacious with plenty of built in cupboards. The kitchen also has a gas supply. The lounge area is spacious and able to fit a good sized lounge suite. The lounge is fitted with an aircon. The unit has 2 bathrooms, one on-suite, completed with a sink bath and shower. The 2 bedrooms are cozy with ample built in cupboards as well as large windows. The main bedroom has been completed with a built in dressing table. Occupants of this unit have access to a double carport. Guests of the unit have access to covered parking. The unit has a spacious balcony and the complex has lovely communal gardens with plenty of space for the little ones to run and play. Unfortunately, the complex is not pet friendly. The complex is guarded by 24hour security. The complex also has a sparkling blue pool and communal club house. The complex is within the vicinity of many great attractions as shcool. Being in e allows access to:arkview squash centredale lace parksivananda school of yogamelvillemelvilled farmers market etcnetcare milpark hospitalthere are also many great schools in the area such as:eutsche international schoolmelpark primary auckland park preparatory school etccontact one of our friendly agents today to view!rent-a-property. We put the pro in property! Newly built, secure and spacious 2 bedroom apartment to rent in westcliffe, johannesburg. This stunning unit is available immediately. The units has a large and ultra modern kitchen, complete with a sectioned off scullery area that is spacious with plenty of built in cupboards. The kitchen also has a gas supply. The lounge area is spacious and able to fit a good sized lounge suite. The lounge is fitted with an aircon. The unit has 2 bathrooms, one on-suite, completed with a sink bath and shower. The 2 bedrooms are cozy with ample built in cupboards as well as large windows. The main bedroom has been completed with a built in dressing table. Occupants of this unit have access to a double carport. Guests of the unit have access to covered parking. The unit has a neat garden and the complex has lovely communal gardens with plenty of space for the little ones to run and play. Unfortunately, the complex is not pet friendly. The complex is guarded by 24 hour security. The complex also has a sparkling blue pool and communal club house. The complex is within the vicinity of many great attractions as school. Being in westcliffe allows access to:arkview squash centredale lace parksivananda school of yogamelvillemelville farmers market etcnetcare milpark hospitalthere are also many great schools in the area such as:eutsche international schoolmelpark primary auckland park preparatory school etccontact one of our friendly agents today to view!rent-a-property. We put the pro in property! 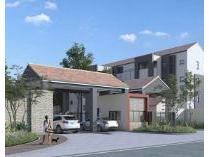 Newly built, secure and spacious 2 bedroom townhouse to rent in westcliffe, johannesburg. This stunning unit is available immediately. The units has a large and ultra modern kitchen, complete with a sectioned off scullery area that is spacious with plenty of built in cupboards. The kitchen also has a gas supply. The lounge area is spacious and able to fit a good sized lounge suite. The lounge is fitted with an aircon. The unit has 2 bathrooms, one on-suite, completed with a sink bath and shower. The 2 bedrooms are cozy with ample built in cupboards as well as large windows. The main bedroom has been completed with a built in dressing table. Occupants of this unit have access to a double carport. Guests of the unit have access to covered parking. The unit has a neat garden and the complex has lovely communal gardens with plenty of space for the little ones to run and play. Unfortunately, the complex is not pet friendly. The complex is guarded by 24hour security. The complex also has a sparkling blue pool and communal club house. The complex is within the vicinity of many great attractions as school. Being in westcliffe allows access to:arkview squash centredale lace parksivananda school of yogamelvillemelvilled farmers market etcnetcare milpark hospitalthere are also many great schools in the area such as:eutsche international schoolmelpark primary auckland park preparatory school etccontact one of our friendly agents today to view!rent-a-property. We put the pro in property! Receive 50% discount on the first 1 months rental, when approved during april 2019!we currently have 3 of these lovely units available. Unit 2 is available on the 1st of may 2019 and unit 6 and 8 are available immediately. Unit 2 is a ground floor unit and unit 6 and 8 are located on the 1st floor. 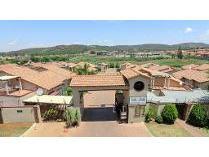 The units are close to park & hyde park, randburg. The sectioned off kitchen is spacious with plenty of built in cupboards. Please note, a stove is not included, in the unit. The lounge area is spacious and able to fit a good sized lounge suite. The unit has a separate bath and sink as well as a sectioned off toilet, perfect for guests. The 1 bedroom is cozy with ample built in cupboards as well as large windows. This unit would be perfect for a single person or young couple just starting out. Residents have access to a single covered parking bay and plenty of guest parking is available. The complex has lovely communal gardens with plenty of space for the little ones to run and play. Unfortunately, the complex is not pet friendly. Being on jan smuts avenue, you have quick access to conrad drive and william nicol drive. The complex is very central and most shops are merely a few minutes away, such as:he colony shopping centerbaby citytoy r usrocomamaspick 'n paysparcheckerswoolworthsabsanedbankstandard bankfnbcapitechkfcwimpysteersmcdonalds primary schoolour lady of mercy primary schoolcraiglands remidial schoolst. Teresas mercy schoolsfleming pre-primary centre. Contact one of our friendly agents today to view!rent-a-property. We put the pro in property! This lovely shop is situated in craighall, johannesburg. 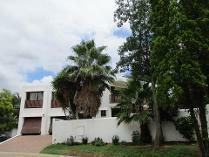 Close to craighall park & hyde park, randburg. The lovely shop is available immediately. The previous tenants were using the shop as a custom wood manufacturing business. The shop space could be used as a show room or shop space. The shop space is large and open planned. There is a separate kitchen area as well as 2 bathrooms, for woman and men. The shop is within a secure shopping complex, with residential units directly above the shop space. Being on jan smuts avenue, you have quick access to conrad drive and william nicol drive. The complex that the shop is within a very central area, with lost of foot traffic. Others shops and points of interest are merely a few minutes away, such as:he colony shopping centerbaby citytoy r usroco mamaspick 'n paysparcheckerswool worthsa. B. S. Aned-bankstandard bankf. N. Bcapi-techkfcwimpysteersmc donald's craig hall primary schoolour lady of mercy primary schoolcraig lands remedial schoolst. Teresa's mercy schoolsfleming pre-primary center. Rent-a-property. We put the pro in property! Spacious and neat 67. 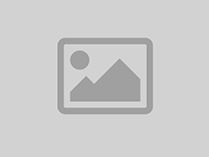 82m2 shop to let in a central area of blairgowrie, johannesburg. This shop is available immediately. This lovely shop is currently being let as a leather goods store. Right next to the pizza hut in blairgowrie, which promises alot of foot traffic. Customers have access to parking, right in front of the shop. The shopping complex is within distance to:lairgowrie plazafernridge centrepick 'n paysparcheckerswoolworthsabsanedbankstandard bankfnbcapitechkfcwimpysteersmcdonaldsblairgowrie primary schoolir griffith primary schoolsekolo sa borokgodelta park schoolthabile nursery schoolvulek ssb schoolradley private schoolkingmead collegecontact one of our friendly agent today to view!rent-a-property. We put the pro in property!